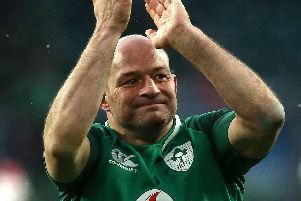 The Ireland captain will win his 116th cap in Sunday’s Guinness Six Nations clash against France in Dublin, but now intends to bring down the curtain on an international career dating back to 2005 before this calendar year is out. “I think that I feel really good, I don’t feel I’m playing any worse, I’m really enjoying rugby and part of that might be because I haven’t 100 per cent made the decision. “But I’m fairly sure it will be, and part of the reason I’m enjoying rugby so much, and I hope playing well, is because there’s that weight lifted off. Best added: “I’m feeling very relaxed now that the body feels that it’s happy to go on. “And at the minute, mentally I’m really enjoying the rugby.